This volume, the result of a creative collaboration between research and action, is aimed at highlighting the contribution of informal workers to the Indian economy. 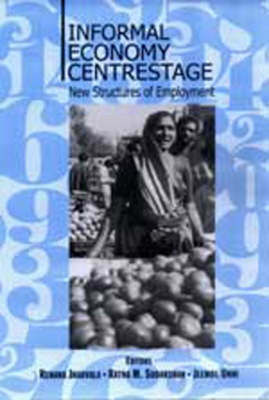 It provides a unique perspective on informal employment in India, from both a macro and a micro perspective. The contributors put forth the argument that while the informal economy already has a place in official statistics, the existing methods of data collection are inadequate to capture the actual size of this sector or to measure its significant contribution to macroeconomic aggregates. They also maintain that there is a need to constantly revisit assumptions and test findings against field level evidence. Overall, this volume provides greater clarity to the nebulous concept of informal economy and establishes that it creates employment, provides goods and services, creates savings and investments, and yet the workers and producers of this economy usually live in poverty.